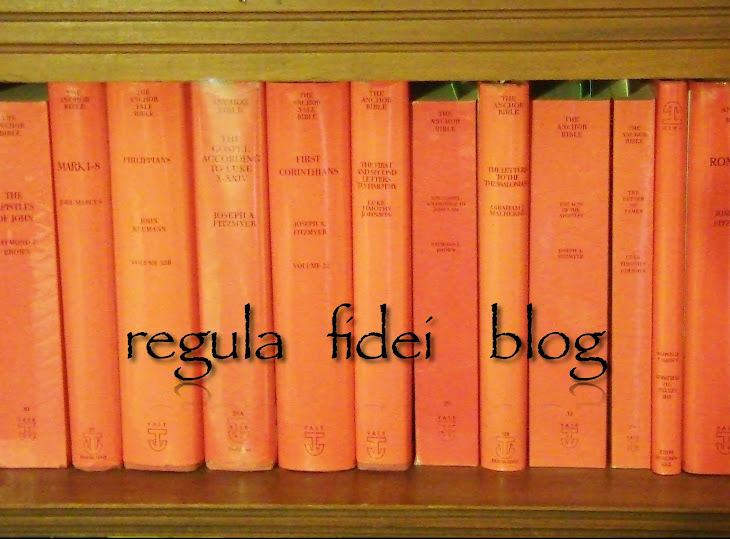 r e g u l a f i d e i: Short Review of "The Author of the Gospels" by Dennis Barton. Short Review of "The Author of the Gospels" by Dennis Barton. Several times in discussion with those who hold to Matthean priority I have been referred to the following article by a Dennis Barton defending Matthean priority1. In this short post I will give a general review of it since I don't have the time nor the energy for a point by point analysis. "Johann Griesbach (1745-1812). Lutheran University professor who spread knowledge of the Matthew-Luke-Mark order in Germany and beyond," "John Chapman OSB. (1865-1933). Considered the greatest Patristic scholar of his time, pointed out weakness of the Markan priority theory. Upheld the priority of Matthew's gospel," "William R. Farmer (died in 2000). Methodist professor. He showed how Markan Priority was established in Germany, by Government imposed, 'political correctness. 'Promoted the Matthew-Luke-Mark order throughout America." Already there is immense problems in the presentation of this article. Normally I would not waste my time with such biased skewing of the evidence. The focus is made clear by Barton, this article is polemically driven. Why does he not tell his unsuspecting reader that the father of the Griesbach theory (J. J. Griesbach) is no friend to orthodoxy and was a Protestant liberal of the first kind? The claim that John Chapman is "considered the greatest Patristic scholar of his time" is simply absurd and reveals a complete lack of familiarity with the field of Patristics and Patrology. Finally the claim that Farmer exposed Markan priority as a government sponsored propaganda machine is only topped in ridicule by other of Farmer's students that have carried his message further claiming that it was first launched by the Nazi party. 2. If Barton was presenting a true presentation of the issues why not give the reader a fair presentation of Markan sources/scholars to complement his little list of scholars? Perhaps it's the fact that the overwhelming (some have calculated 90%) of New Testament scholars, commentators and grammarians world wide of all traditions hold to some form of Markan priority. 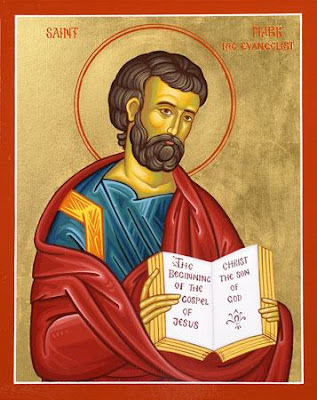 "The theory that Mark's gospel was the first to be written dominates New Testament Studies today. This theory has led to serious and widespread doubts about the historical reliability of the Gospels, upon which our understanding of Christianity is built." Again, this emotionally driven agenda flies in the face of sober neutral scholarship and ignores and attempts to re-write history and poison the well before the reader has any chance of being led to a balanced presentation of the difficult issues involved. Virtually every point in this article by Barton can be challenged and is plagued by misrepresenting the actual Markan position by conservative scholarship. Too often we are doused with liberal arguments that are supposed to represent the best of Markan scholarship (which is conservative). This is classic strawman argumentation. "Here we have Papias quoting John the Apostle`s words in defence of the style of the Gospel of Mark. So the `poor Greek` of Mark is not something first noticed in the 18th century. The extract, `... the Presbyter used to say`, being in the plural, shows that aspects of Mark`s gospel had to be repeatedly defended by John the Apostle against criticism." A claim that no Markan scholar worth two cents would ever make. A simple glance at any of the major commentaries on St. Mark by any of the recent major works presents the Greek of Mark not as "poor Greek" but actually polished but unique from Matthew and Luke's, difference does not imply inferiority, (Cf. C. E. B Cranfield The Gospel According to St. Mark (Cambridge Un. Press, 1959); R. Gundry Mark (Eerdmans, 1992); R. T. France Mark (NIGTC, Eerdmans, 2002); A. Y. Collins Mark (Hermeneia, Fortress, 2007); R. H. Stein Mark (BECNT. Baker, 2008); and especially Rikki Watts forthcoming entry on Mark in the NICNT series). 3. Barton's literary analysis and argument for Matthean priority is not convincing and in many circumstances works against his thesis. "For nearly 2000 years it has been held that Matthew wrote his gospel in Jerusalem prior to the destruction of the city in 70 AD. The reason modern books have transferred its composition to a later period is so as to conform to the Markan theory." But again this is a false representation of the facts. Both Markan and Matthean priority scholars have argued for both pre and post 70 A.D. dates based on a variety of different grounds. The liberal scholars who have placed Matthew in the end of the first and sometimes in the second century have been rejected and it is common to find Markan priority scholars holding compositional dates for both Matthew and Mark pre A.D. 70. Barton again sets up a big strawman only to knock it down with force. He cites R. Brown's 1977 work which denies the historicity of the infancy narratives. This nefariousness coupled with Brown's Markan priority orientation is the supposed source of the "wide following" of later scholars. Barton's agenda is made clear when he ignores and/or overlooks decades and decades of research both before and after 1977 on Markan priority which does not base it's conclusions on anti-historical rhetoric on the Sacred Gospels. I can go on and on pointing out such drawbacks to Barton's article on this most difficult and sensitive issue. It has been stated that our most holy father Pope Benedict is a Markan priority man. His conclusion on this issue I submit is based on judicious and a careful reading of the sources. Barton's caricature of an article is not a reliable source. For a much more balanced presentation of these issues see my article below and the secondary literature cited. For a good written defense of Matthean priority that lacks the rhetoric and smoke and mirrors of Barton see D. P. Peabody, L. Cope and A. J. McNicol, One Gospel from Two: Mark's Use of Matthew and Luke, (Trinity Press, 2002). I'm mostly convinced by his arguments. I understand and agree with your point that he doesn't fairly account for those traditional scholars who believe in Markan priority. But aside from that, you didn't really address any of his arguments - you're just trying to show he has an agenda. But you had an agenda in trying to show he had an agenda. Having an agenda doesn't make you wrong. I think we'll just have to agree to disagree on this issue. I leave the possibility of Markan priority open of course and at one time I did loosely assent to it. But these days I am more and more convinced of Matthean priority. Like I stated in the post, I am not trying a point by point refutation because I don't think it really deserves one. Again I refer to any of the works cited in my article that tackles this tuff question for a better presentation of the issues. But I do think I showed his bias and misrepresentation of the Markan position.